When the snow melts it isn't always pretty! Spring is here and as much as we always love the warm weather after a long winter it is always jaw dropping just how much rubbish appears around Hirafu Village. With hundreds of thousands of visitors each season casually discarded rubbish quickly accumulates and when the snow melts the ugly reality remains. This ones for all of us in town to give back to this town we know and love. 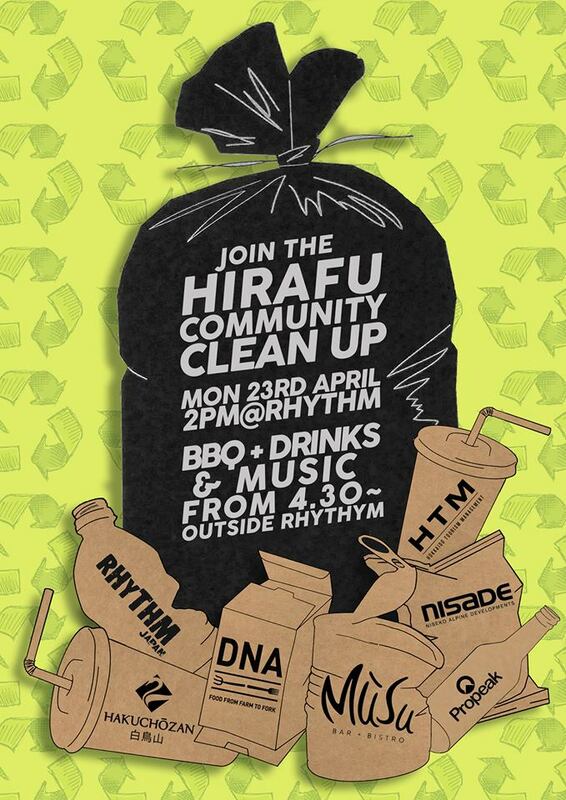 Meet at Rhythm from 2pm. Split into groups to clear the different areas. Hakuchozan Van will take groups different location for dropoff and pick up. DNA Truck will be available to drop filled bags of mixed (kongo) Gomi. 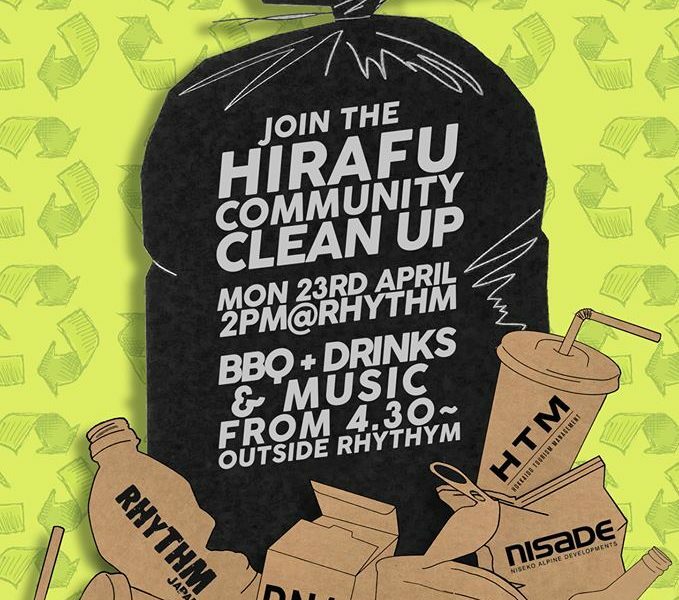 After we’ve collected all we can, we’ll rendezvous back on the terrace at Rhythm for an afternoon of Drinks, Music, BBQ and Good times. Kindly supported by Rhythm Japan, Hakuchozan, DNA, Musu, HTM, Nisade and Propeak.